For John Urschel, what began as an insatiable appetite for puzzles as a child developed into mastery of the elegant systems and rules of mathematics. By the time he was thirteen, Urschel was auditing a college-level calculus course. But when he joined his high school football team, a new interest began to eclipse the thrill he felt in the classroom. Football challenged Urschel in an entirely different way, and he became addicted to the physical contact of the sport. After he accepted a scholarship to play at Penn State, his love of math was rekindled. As a Nittany Lion, he refused to sacrifice one passion for the other. Against the odds, Urschel found a way to manage his double life as a scholar and an athlete. While he was an offensive lineman for the Baltimore Ravens, he simultaneously pursued his PhD in mathematics at MIT. Weaving together two separate narratives, Urschel relives for us the most pivotal moments of his bifurcated life. He explains why, after Penn State was sanctioned for the acts of former coach Jerry Sandusky, he declined offers from prestigious universities and refused to abandon his team. He describes his parents' different influences and their profound effect on him, and he opens up about the correlation between football and CTE and the risks he took for the game he loves. 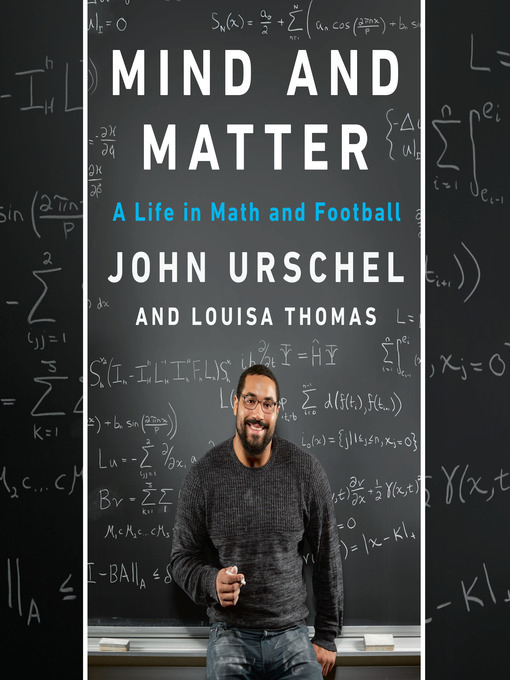 Equally at home discussing Georg Cantor's work on infinities and Bill Belichick's playbook, Urschel reveals how each challenge—whether on the field or in the classroom—has brought him closer to understanding the two different halves of his own life, and how reason and emotion, the mind and the body, are always working together. "So often, people want to divide the world into two," he observes. "Matter and energy. Wave and particle. Athlete and mathematician. Why can't something (or someone) be both?"